City Concierge is the largest supplier of Big Bear Lodging. Here's a pictures of a typically lovely home available to you through our Big Bear Reservation service. You will be able to see all our partners properties when you do a search, and you can make your reservations for your Big Bear cabin rentals or if you prefer your Hotel instantly online. This home sits on Big Bear Lake and as you can see goes right up to the shore line. There are several like this available for rental in winter or summer. This home is called "Circles" as it sits on that street. You may be interested in something we don't offer, or can't find. 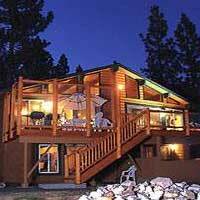 The following businesses provide extraordinary home rentals and hotels in Big Bear.